There are a lot of notions about what professional carpet cleaning really means and they are often as far reaching as we are to the moon. Some believing that a quick trip to the local big box store to rent a “do it yourselfer” machine will do the trick while others feel that only the biggest and baddest powerhouse-cleaning unit is best. With beliefs and opinions varying so vastly it’s often difficult to know what it is that constitutes truly professional carpet cleaning. 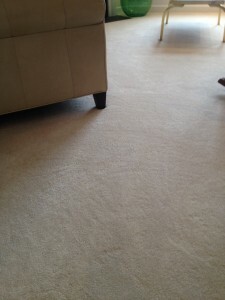 With that in mind, we at Professional Carpet Systems would like to offer our take on what professional carpet cleaning Hartford CT really means. There are a lot of elements that go into professional carpet cleaning. Things like years of experience, good equipment, the best cleaning detergents and the best carpet cleaning techniques. Each and every one of these things is very important to performing professional carpet cleaning Hartford CT. And each of these things has their place at Professional Carpet Systems. But, while extremely important, if a company incorporates only these things they will never be able to deliver truly professional carpet cleaning. Here is the very most critical element and secret to performing the most professional carpet cleaning: The person (cleaning technician) doing the work MUST have a deep concern and desire to do the absolute best job possible and to perform way above and beyond a customer’s expectations. That’s the most important thing. A cleaning technician or even an owner of a company can have more years experience than any of his/her competitors. Can have adopted the absolute best techniques and be using the best equipment. But without having a true interest in making the life of a customer better he or she will never make it into the ranks of a true professional who performs carpet cleaning. And that’s what sets Professional Carpet Systems apart from many of the companies that say they do professional carpet cleaning. We truly do CARE about our clients and making their lives and homes better than when we arrived. It’s our absolute commitment and our way of life. We really just love our customers. So if you’re ready to experience what real professional carpet cleaning Hartford CT is like, call us here at Professional Carpet Systems today. You’ll be so glad you did! !